It’s almost that time of the year again and you need to be prepared. Winter jewelry this year comes with a lot of fabulous designs and creative ideas, so get shopping. Buying precious & semi precious stones jewelry for this winter is an art, though. To make the most of what the jewelry trends have to offer, read this article and up your jewelry game. Scroll down to see the hottest winter jewelry trends this year. 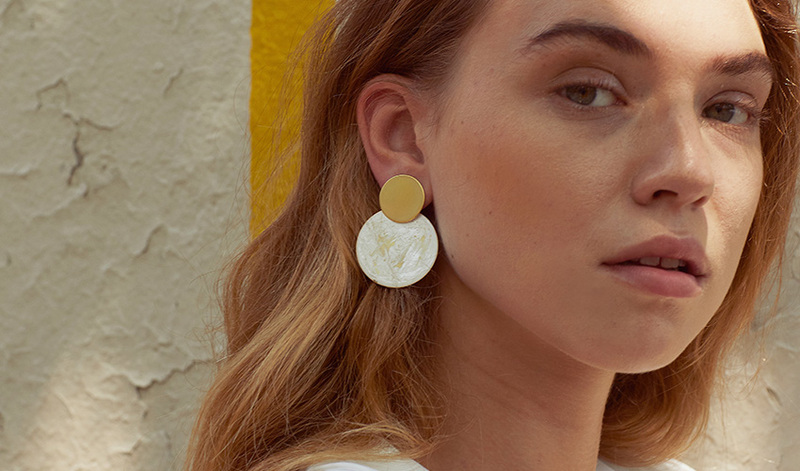 We know you love them, so pile up on statement earrings. 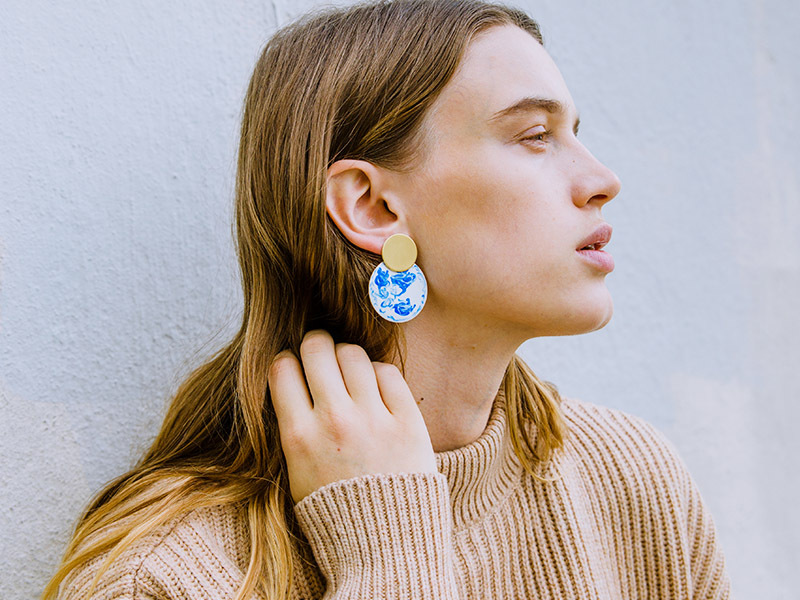 The earrings this winter are oversized and full of creativity and elegance. Ball drop designs, fishbone creations, and large hoops are what you need to start this winter in style. 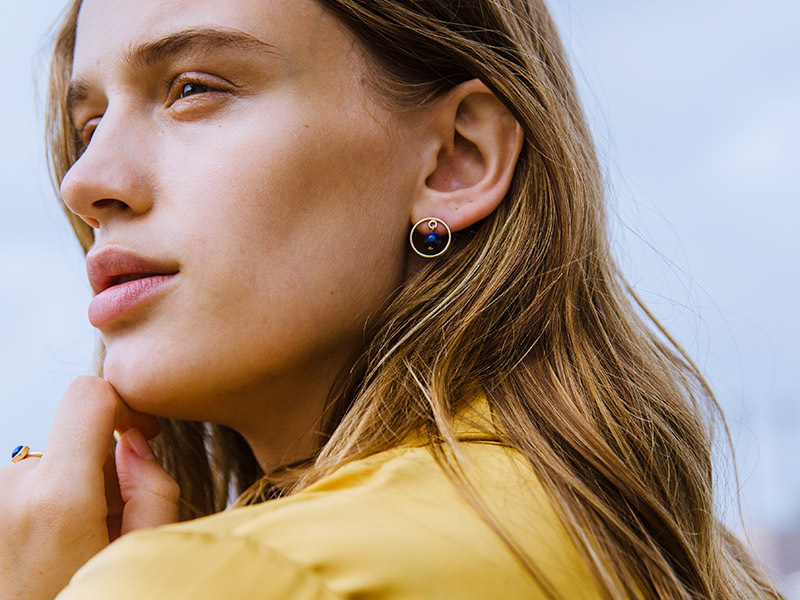 Add a splash of color to your winter jewelry with statement earrings in enamel or featuring colorful gemstones. Leave the classic styles at home and go for unique statement earrings that emphasize your features. And if you are feeling nostalgic, get some fall leaves earrings. Nature inspired jewelry is also a big trend this winter and, who knows? Maybe we’ll have a mild winter that continues the fall smoothly. And, if now, big snowflake earrings are your new best friends. Your warm scarf will not miss from your wardrobe but, as you take it off, let everybody admire your chunky chain necklace. This winter gemstone statement necklaces take the back seat and leave the scene free for coin necklaces with oversized links chains. Also, we know you had a lot of fun layering your necklaces, so you can continue to do that. Just add a chunky chain necklace to your collection and have fun with layering. They say winter is a magical season and we can see why. This year, your gemstones will start floating around you, making you look fabulous. No, you don’t need to visit the local magic shop for that. Instead, try earrings with designs that emphasize the gemstone as opposed to enclosing it in a setting. Hanging from a very thin thread of metal, the gemstone will look as if it were floating in the air. Hoops that incorporate an interior gemstone bead are especially popular and feminine. Their delicate effect will create a fashionable contrast with your chunky coin necklace. Other styles that are great winter jewelry are drop earrings with hanging gemstones. We have seen amazing gemstone necklaces designs and you probably have a couple of them in your jewelry box. But this winter, if we are not talking about earrings, gemstones take a back seat. The winter jewelry this year focuses on metallic looks when it comes to necklaces. Either delicate, layered or with oversized links, metallic necklaces are absolutely gorgeous. This doesn’t mean that you can’t have a pendant, though. The pendants this winter are metallic with coin designs or religious symbols. Nothing better to wear on Christmas day than a chic Virgin Mary pendant necklace. Yes, everything is oversized or chunky this winter and we love it. Get yourself a couple of polished chunky bangles which you can stack together for an edgy look. However, when you go wild with the bangles, try not to adopt all the other winter jewelry trends at the same time. By that, we mean that your oversized bangles and cuff bracelets will definitely look fabulous with a delicate pair of floating gemstone drop earrings, but not-so-great with big statement earrings. These two may not seem related but, in fact, they are. Winter jewelry this year features designer logos and looks absolutely stylish. Well, you don’t have to cover yourself from head to toe in logos, but a bracelet featuring your favorite’s brand logo is a nice touch. After all, we all love jewelry brands and it’s always a great idea to pay tribute to unique designs and creations. This year’s novelty is the torc necklace. Winter jewelry has turned the choker that we all know and love into a new design. The torc necklace resembles the choker but is a little bit longer. It rests just above the collarbone and it has a polished metallic look. A popular design for torcs is a creation that features two torc necklace woven together. With torcs, the most important thing is their silver metallic look and minimalist style. 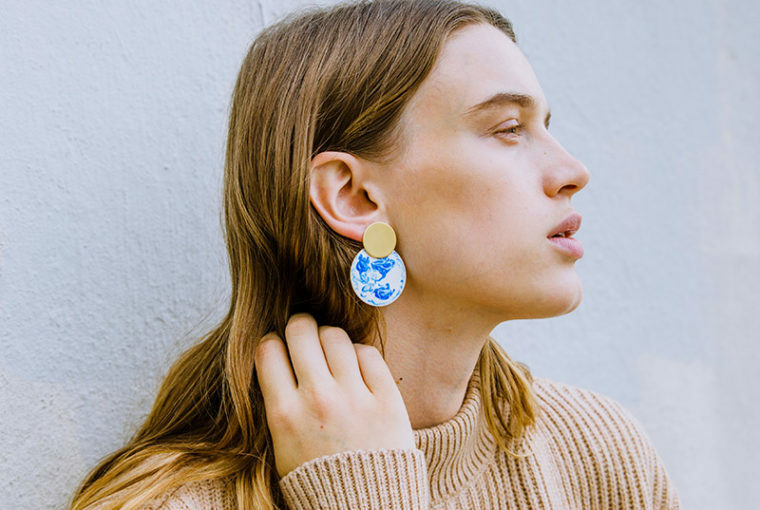 These are the most important winter jewelry trends for this season. We know that you love them just as much as we do, so get shopping. If you want more jewelry inspiration, read our other articles as well. To view any of the creations featured above, as well as other unique designer jewelry pieces, visit Ana Luisa online jewelry shop.